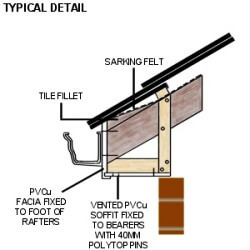 Replacing Soffits and Fascias can be a messy and complicated job, but Markwell’s changes all that. We have specifically designed scaffolding towers which make the job straightforward, safe, quick and clean. Best of all, we also clear all the old timber and debris from your home, leaving absolutely no mess. Your roof trim is completely made-to-measure, bespoke cut and fitted specifically for your property. All we need to do is measure up, provide an unbeatable quote and schedule in the work. It really is hassle free. There will be no more worrying about sanding and painting those old wooden boards, just years of maintenance free, clean looking PVC fascias and soffits. Please do take a look and feel free to give us a call, send us an email or, if you are in the Hertfordshire or Essex area, drop into our showroom. We are always more than happy to provide impartial, no obligation advice and help with any glazing query you may have.